Whether you are looking for a year round home or a quick getaway, the Lakeshore has so much to offer! 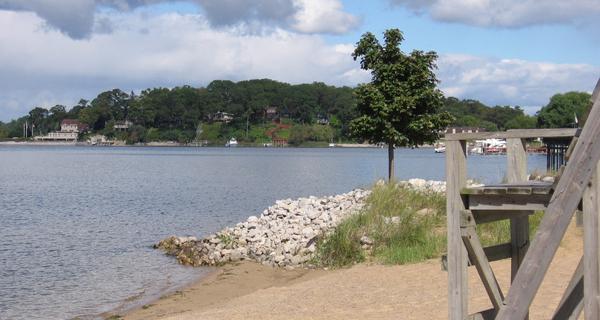 Muskegon is a boaters paradise where you can cruise the “Big Lake”, fish Muskegon Lake or just tour local attractions. Muskegon also has many challenging public and private golf courses within a 20 mile radius of Muskegon. Michigans largest amusement park and water park, Michigans Adventure, is a great way to bring the family together and enjoy the thrills of the rollercoasters, such as the Corkscew, or relax in the lazy river. Holland is a beautiful city right between Chicago and Detroit and twenty minutes from Grand Rapids. Holland has become a popular place to build business, raise a family and retire. You will find great bands in Kollen Park, the Street Performers and Summer Concert Series downtown, and the Summer Repertory Theatre at Hope College, Holland will entertain you everywhere you turn. Or treat yourself to a relaxing day at the beach, a cruise on the lake, or a picnic on Windmill Island. Lastly, Hollands’s annual celebration of Dutch heritage and culture is a multi-generational event that has something for everyone. Three amazing parades, traditional Dutch Dance performances, concerts, theatre, Dutch attractions, Dutch food, children’s events, Tulip City Tours and so much more! Grand Haven is home to the United States Coast Guard’s “Group Grand Haven,” which coordinates all Lake Michigan Coast Guard activities. The first Coast Guard presence in the city was in 1924. The city hosts the annual Coast Guard Festival, a celebration based on Coast Guard Day, which draws U.S. and Canadian vessels along with parades of bands and other activities. The yearly attendance for this event exceeds 300,000 people over the two-week period of the festival. Another great attraction is the Grand Haven Musical Fountain, which was built on the opposite bank of the Grand River from the city center in 1969. It plays nightly during the tourist season. When it was built, it was the world’s largest such fountain. Today, the overall largest fountain is in Las Vegas. Grand Haven State Park was nationally recognized for having one of the top five beaches in the United States, by Good Morning America – Travel Mom. In summer, water temperatures can reach the low 70s (Fahrenheit), bringing tens of thousands of visitors. The state park also includes a campground on Lake Michigan, near the pier and lighthouses. In addition, the city features a ski park (Mulligan’s Hollow Ski Bowl) and a skate park. The waterfront locations bring tourists from all over the state and region for boating, sailing, jet skiing, and wind surfing. Or if you are looking to relax and enjoy the scenery, take a stroll down the boardwalk and check out all the unique shops/restaurants and delicious ice cream! Originally founded as the Village of Mill Point Launch in 1849, the members of the community adopted its first Village Charter and became the Village of Spring Lake in 1869. Although the community’s original ties to the lumber industry have long passed, the Village serves as a great place to live and continues to play a role in the northwest Ottawa County’s tourism industry. The community began as a wonderful place to live, work and play and that tradition continues today. Spring Lake, which lies upriver from Lake Michigan, spans 1.1 sq. miles, and has a population of 2,514.